The book of Ruth contains a story that has inspired and captivated readers for centuries, offering both exquisite literary qualities along with profound theology. Having authored a commentary that explored the book almost two decades ago, Daniel Block in this volume reflects more deeply on the book's message and the literary strategies employed to get that message across, paying particular attention to its discourse linguistic features. The diagram of each passage enables readers to grasp quickly and accurately the main idea of the text, its development, and supporting ideas; and allows them to understand how the commentator arrived at this depiction and interpretation of the passage. The commentary places a special emphasis on identifying and discussing the main thrust of each passage and showing how it contributes to the development of the whole composition. Readers will find help in drawing out the meaning of the Hebrew for interpretation. While primarily designed for those with a basic knowledge of biblical Hebrew, all who strive to understand the Old Testament and better convey its meaning will find these books beneficial. Each unit concludes with a discussion of the canonical and practical significance of the passage, synthesizing its theology and message for readers today. 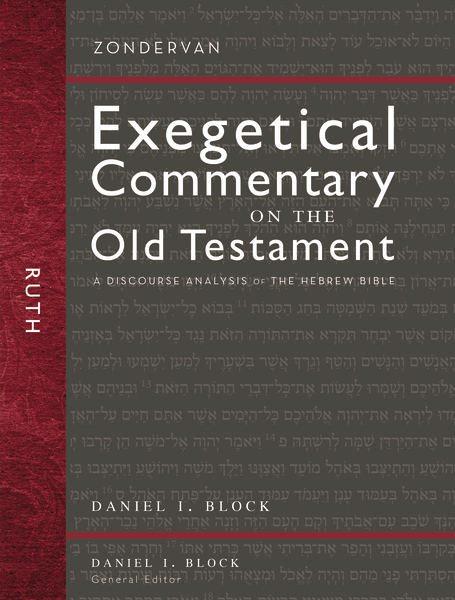 There are many exegetical commentaries, but none accomplish what this series has achieved.